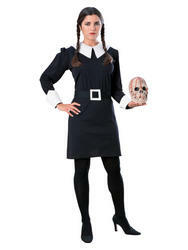 They're creepy and they're kooky, mysterious and spooky, they're altogether ooky, the Addams family! Now you too can recreate the eerie look made famous by the most macabre family to ever appear on our screens with our fantastic range of Addams Family fancy dress costumes. 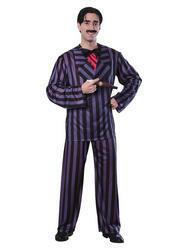 Our sinister yet sophisticated Gomez Addams costumes are sure to have you charming even the toughest of witches, while our cute yet creepy Wednesday Addams outfits are always recognisable at every themed occasion. No matter who your favourite character from the series is, we're sure we have the costume you're looking for and at the best price online.